Every time I tell someone that I have a blog dedicated to brunch, the first thing they always ask me is: what is the best brunch in Barcelona? When I’d only been writing the blog for a few months I still thought I might be able to give an answer, but now it’s impossible to make up my mind because there are simply too many places to choose between, each with its own special something. 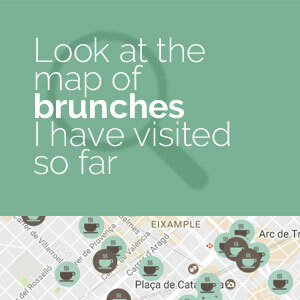 That’s why I’ve decided that it’d be a good idea to create a list with all the brunch places in Barcelona that I recommend and also explain the reason. Also, I’ll do my best to keep it updated. Click on the image to see the list. Another option was to ask some expert foodies what their favorite brunch place is. Here are the answers I received, in alphabetical order, to discover the best brunches in Barcelona. I’ve been a fan of Granja PetitBo (Passeig de Sant Joan, 82), on the street between Passeig Sant Joan and Calle Arago, since it opened more than two years ago. You can feel at home there, in a space which used to be occupied by a cow-shed but which has been converted into an industry-inspired room with a slightly dishevelled feel, high ceilings, big windows and a mixture of tables and wooden seats and vintage-style armchairs. I’d recommend Granja Petitbo for brunch in particular on Saturdays and Sundays between 10am and 3.30pm (they don’t take bookings, so leave a bit of time because they’re usually full). Ask for any one of their natural fruit juices (the lemon, apple and kiwi is my favourite), salads (Caesar, with quinoa and burrata cheese), pancakes with banana and chocolate, and – above all – eggs. ‘Huevos rancheros’, eggs benedict, eggs royale… All the dishes are made with fresh, natural, locally sourced produce; and they have plenty of vegetarian options. Natural becomes cool in Granja PetitBo. Prices from 15 to 20 euro. The restaurant, La Esquina (Carrer de Bergara, 2): Kitchen & Coffee, has been open in Barcelona for a few months now. Their young London chef’s menu captures a spirit of market food with a few British touches. Amongst the clientele you’ll find local and foreign diners. Their set menu, with a healthy base of vegetables, proteins, pasta and pulses is definitely worth trying, as are their excellent brunch dishes. 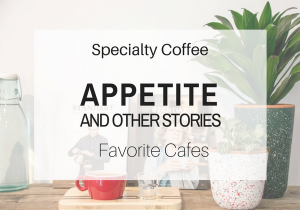 When it comes to coffee, La Esquina relies on the services of a barista, Louis, who is offers a delicious Nicaraguan coffee blend, La Aurora, prepared in his Marzocco coffee maker. Book a table to save time and money. Mexican Huevos Rancheros, Colombian corn tortillas, and Brazilian Acai. With the Trópico (Carrer del Marquès de Barberà, 24) brunch every winter is a little more summer. Ah, not forgetting the melon juice with coconut water, which tastes like it’s just arrived from the Ipanema Beach in Rio de Janeiro. Book your table to save time and money. Flax & Kale (Carrer dels Tallers, 74) – Although this isn’t my only favourite place, it is one of my preferred spots – because the kind of food the offer fits in perfectly with my usual diet. I eat very healthily, the quality and origin of the raw materials matters a lot to me, I don’t eat gluten or meat or lactose… And here I can find an endless supply of delicious offerings at any time! In addition, those who don’t follow this kind of diet will also love to eat here – I’ve never had any problems with my friends or family, for example, who all love it here! Four years ago two Australian entrepreneurs opened the first Federal Cafe (Carrer del Parlament, 39) in Barcelona, and since then two more have opened (one in Madrid, another in Barcelona’s Gothic Quarter), and there are another two in the pipeline. It’s in the Sant Antoni neighbourhood, and occupies a three-storey building, with big windows, nordic decoration and a terrace which is an oasis of peace in the city. They rely on organically produced and locally-sourced food. One of my favourite things to do is to go there and enjoy a leisurely brunch of eggs, toast and something sweet – like the classic carrot cake or one of their delicious croissants, all accompanied by their natural fruit juices, a good coffee, or herbal tea if you prefer. The Hotel Majestic (Passeig de Gràcia, 68) brunch begins with a glass of Moet & Chandon, which is always topped-up generously. Then there’s the cold buffet, with top-quality seafood like oysters and razor clams, smoked salmon blinis and trout caviar. There’s also a selection of salads, Iberian hams and cheese with dried fruit, as well as an excellent Triticum bread which is great for toasting, alongside tomato bread and cold meats. The journey continues with ‘showcooking’, where you can try hot dishes like hake cooked with pesto, mushroom risotto, artichokes with cod ‘Brandada’, and of course, Eggs Benedict. And just when you thought the fun was ending, you can head to the desserts corner and allow yourself to be seduced by the tarte tatin, the cupcakes, or the pastry selection. Everything is genuinely exquisite, and accompanied by top-quality service. And you can fill your plate as many times as you like, although the important thing here is the quality, not the quantity. Ah, and the Majestic brunch is the only one in the city to also cater for little people, with mini-portions and a free sweet bar. That way, everyone’s happy! Enjoying a vegan, delicious brunch, in a hidden-away cafe amongst the streets of the Raval neighbourhood is an experience that we will keep fond memories of. Not just for the delicacies which Origins (address secret until booking) prepared for us, and in which it was proved that vegan food is far from insipid, but for the chance to enter into a hidden oasis in the heart of Barcelona which you could only know about just before you enter in to enjoy it. For those who are looking to entice their palate with a slightly out-of-the-ordinary brunch, my choice would be Tonka (Carrer del Marquès de Campo Sagrado, 27). Everything revolves around the healthy, organic, and above all delicious, food. The soul of Tonka, Mayela, opened the place in 2011 with a clear thought in mind, offering home-made food with locally-sourced ingredients of the highest quality. It’s obvious that this is a project born of passion for food and the wish to offer the best to a public who love the food and the atmosphere of this place, 5 minutes away from the Sant Antoni market. And if you don’t believe me, head over there yourself and try one of the baked egg dishes or french toasts which are on their brunch menu at the weekend. Les 3 a la Cuina (Calle Sant Lluís, 35) are Paqui, Sara and Nacho – mother and children. Together they make a healthy, home-made weekday menu. On Saturdays they also make a delightful brunch, and their poached eggs are undeniably addictive. Long live the kitchen trio! And you? Have you already tried all these Barcelona brunches? Which one is your favourite? If you liked this list, here is another one that you will also love. Would have been great if you had put the address of each place with the description.....saves having to look them all up. Otherwise some great suggestions.